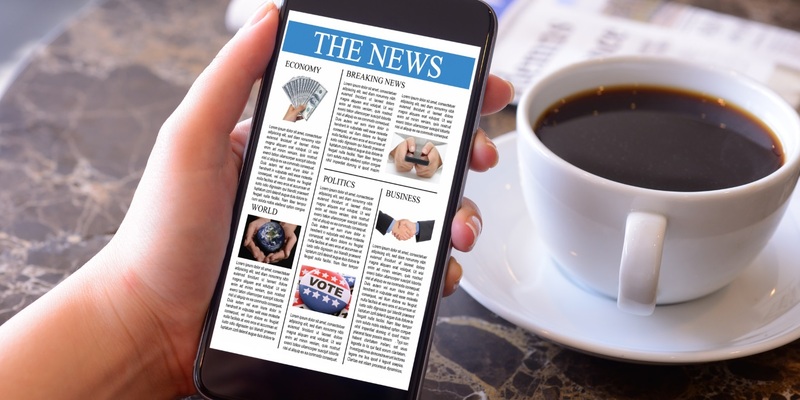 The percentage of U.S. adults who get news from multiple social media sites continued to increase, according to a new report from Pew Research Center. Pew found that 26 percent of U.S. adults get news from two or more social media sites, up from 18 percent in 2016 and 15 percent in 2013. Looking at the largest social network, Facebook, Pew found that 45 percent of U.S. adults turn to it for news, and of that group, one-half exclusively gets news from Facebook and no other social networks. One out of five Facebook users, conversely, rely on three or more social sites for news. Meanwhile, at least one-half of LinkedIn, Instagram, Snapchat and WhatsApp users get news on three or more social sites. While only 4 percent of U.S. adults get news from Reddit, just 38 percent of that group does so on three or more social sites. 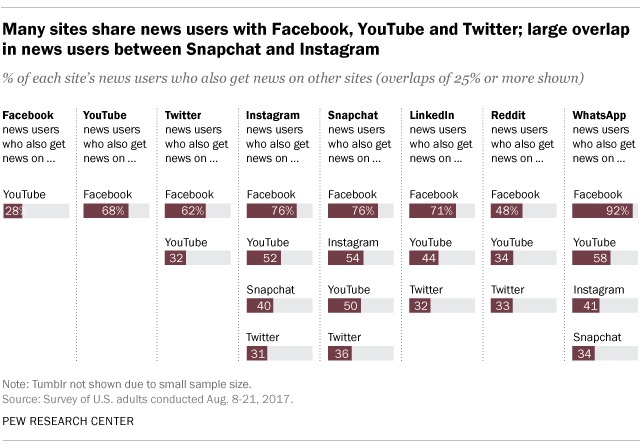 Audience overlap most commonly occurs with users of smaller social sites who also visit Facebook and/or YouTube for news, at more than one-half and more than one-quarter, respectively. Roughly one-third of U.S. adults who get news via Instagram, Snapchat, LinkedIn and Reddit also do so via Twitter. News users of Instagram and Snapchat have “considerable overlap,” and at least one-third of WhatsApp news users also get news from those two applications. 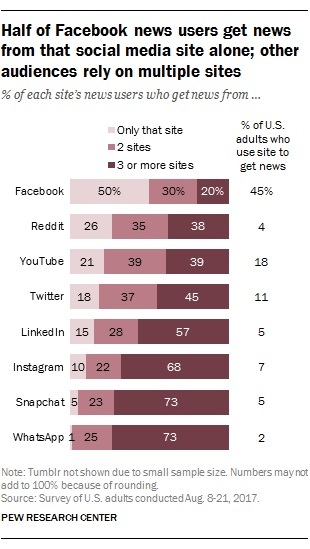 Meanwhile, fewer than 25 percent of people who get news from those sites also do so from Reddit, LinkedIn, WhatsApp or Tumblr. 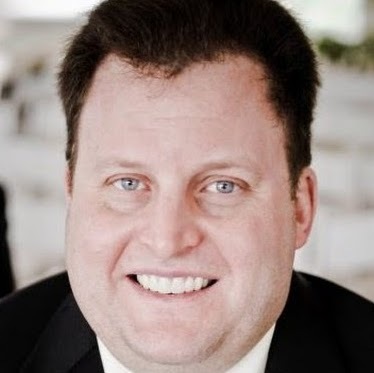 47 percent of news consumers who rely on two or more social networking sites for news are nonwhite, and 77 percent of them are between the ages of 18 and 49.